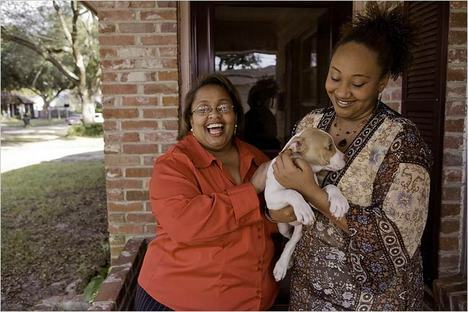 “Carla Reese, left, with her daughter Renee Roussell, who said that “there is nothing to go back to” in New Orleans.” Source of caption and photo: online version of the NYT article quoted and cited below. (p. A1) LAKE CHARLES, La. — With resignation, anger or stoicism, thousands of former New Orleanians forced out by Hurricane Katrina are settling in across the Gulf Coast, breaking their ties with the damaged city for which they still yearn. 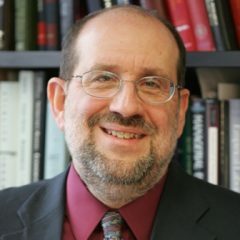 ADAM NOSSITER. “With Regrets, New Orleans Is Left Behind.” The New York Times (Tues., December 18, 2007): A1 & A29. 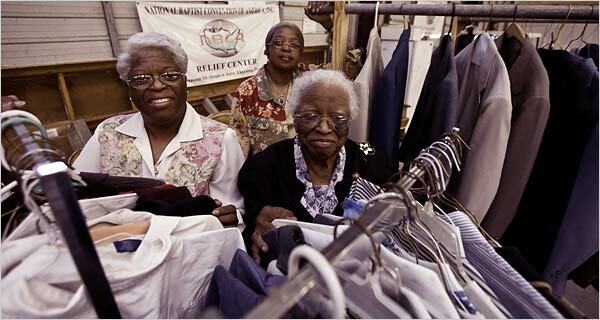 “Cynthia Jones, left, her sister, Pauline Hurst, and their mother, Evelyn Williams, at the church warehouse where they now work.” Source of caption and photo: online version of the NYT article quoted and cited above.